When I flew to Germany last week (I’m still here, by the way), I was lucky enough to be seated next to a former flight attendant. Annie was one of the good ones–she was congenial but non-intrusive, she wore a perpetual smile, and she went out of her way to make sure I got what I needed before she did. Although she had recently retired, she still maintained her helpful demeanor. The other flight attendants on the plane knew her and reacted with delight when they recognized her. 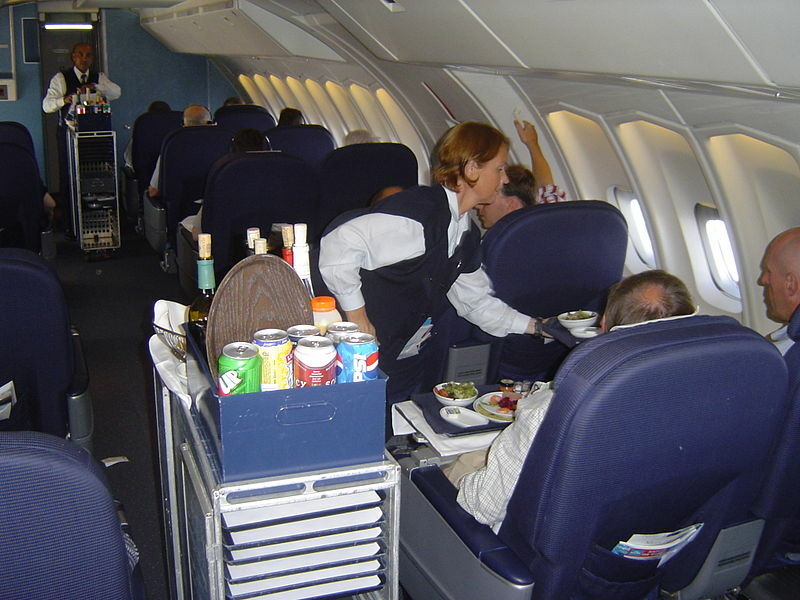 They treated her like royalty, and since I was her seat mate, I enjoyed the overflow of that treatment. If only all flight attendants were like Annie. When that thought occurred to me during the flight, my mind immediately went back to another trip I had taken where I had a very different experience. My children and I were returning from Germany, and they were seated together on the left side of the plane while I sat across the aisle in the middle section. Surprisingly good travelers, I was comfortable letting them sit alone at ages 5 and 7 while I remained within arm’s length. During that flight, the flight attendant somehow missed my son when distributing drinks before the meal. She never came back to him, and he was parched after eating his sandwich. He waited as long as he could, then pushed the flight attendant call button (after he asked my permission). After what seemed like an eternity, the flight attendant appeared. Rather than asking him what he needed, however, she simply turned off his light and told him not to push the button again. Then she stalked off without a second glance. Poor kid. I’m pretty sure Annie, the retired flight attendant seated beside me on my recent flight, wouldn’t have handled that situation the same way. It just wasn’t in her personality. Even in retirement, she busied herself making sure I was comfortable, and she made sure I was served first every time the beverage cart went by. What strikes me from the juxtaposition of these stories is the huge amount of difference an attitude can make. A smile, a helpful demeanor, a listening ear are often all it takes to turn a good experience into a bad one–or vice versa. The world needs more Annies.